Since the time we are born, we are asked to take particular vaccinations at certain ages. Vaccinations are biological preparations that provide the body with acquired immunity against a particular disease. When an individual is vaccinated the immune system is prepared to fight against that particular infection. In fact, vaccinations make use of the natural ability of the body to learn the ways of eliminating a disease-causing germ. What do vaccinations really do? The benefits of vaccination are actually numerous and that is the reason most of the countries across the world have adopted the process of vaccination in their public health systems. Nevertheless, let us have a look at some of the advantages of vaccination. Vaccination saves life: The foremost benefit of vaccination is that it prevents diseases and helps save our life. Vaccination immunizes an individual and immunization is one of the most effective ways to stay away from diseases. In fact, immunization is one of the greatest public health achievements of the 20th century. In recent times, the best thing is that there are also facilities of vaccinations at home for those who cannot make it to the clinic. Vaccinations are cost-effective: With the help of vaccinations you are not only able to save a life but at the same time you can save money. This is because it is always cheaper to prevent a disease than treating it. After all, prevention is better than cure. In fact, the amount that you spend on your child’s vaccination is a lot lesser than the amount you would have to spend on the treatment of the disease if it occurs in the future. So never miss the vaccination of your child. Vaccines are safe: People might tend to think that vaccines are not safe and sometimes diseases might crop up due to the application of vaccines. On the contrary, vaccines undergo stringent tests before being administered to patients. Sometimes if you are unable to leave your house due to illness, weakness or any other condition, blood tests can be conducted at home according to which vaccines are administered. Besides the ones mentioned above, there are many other vaccinations available as well. Depending on one’s requirement the vaccines can be administered. Last but not the least, when you opt for vaccinations it is recommended that you get in touch with reputable clinics or hospitals in that city. 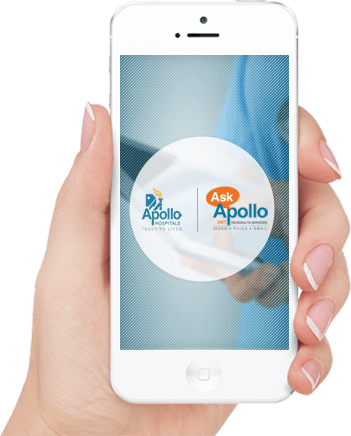 For example, in Delhi, you could call Apollo HomeCare to find out about doctors who visit your home in Delhi. Similarly, you could do the same when you’re in other cities. Doing so will ensure that you get the most authentic vaccinations. Always take a look at the date of manufacturing and the expiry date of the vaccination before allowing your doctor or nurse to use it.